Connect your computer and iOS device to the same local or peer-to-peer network. Double click on ”Network” to open the ”Open Network Setup” . If necessary create a new Session . Ensure that the session is active . 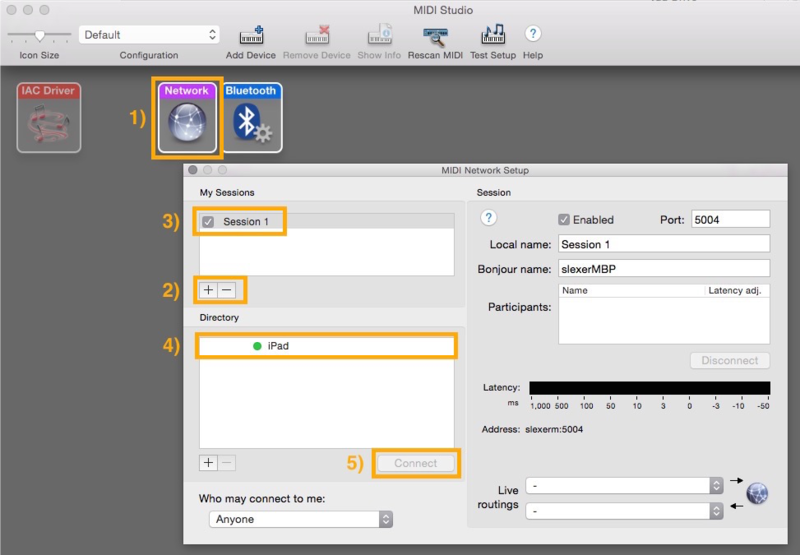 … the iOS device will be listed in the ”Participants” table . You will be able to test the connection by moving any of the faders of Parat+ and observing the “Latency” measuring display . 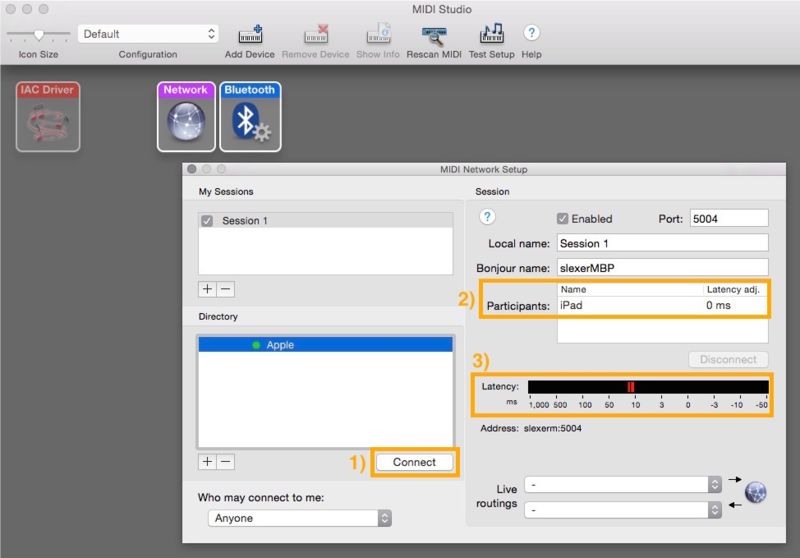 Open your MIDI compatible software and assign the faders to parameters. Please consult the relevant software manual on how to assign MIDI controllers either manually or using MIDI learn features. 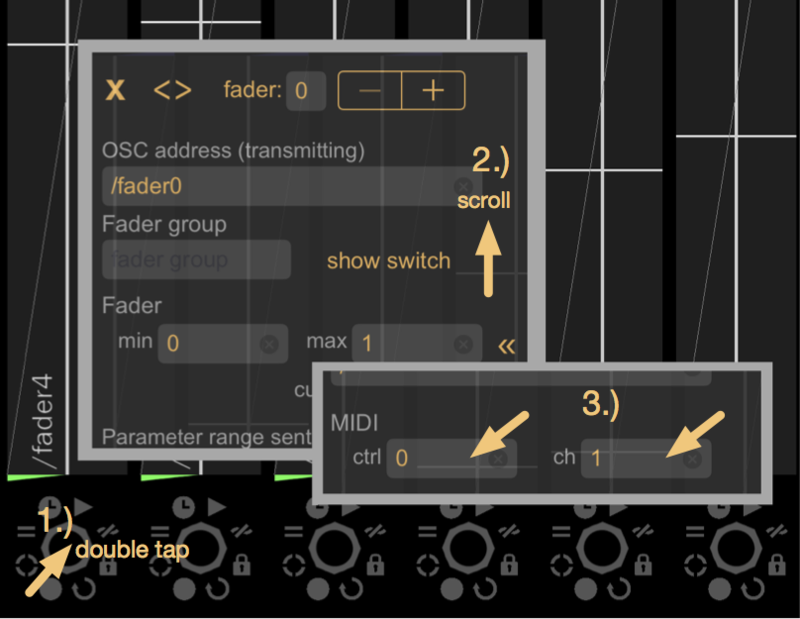 The MIDI connection described might have to be reestablished after the iOS device has been locked or Parat+ loses focus, for example when switching to other iOS apps. This video tutorial on Synthtopia shows the process as well.